Summer is one of the best seasons for me. I usually get up in the morning and do whatever I like. This is what I had decided to do one particular morning when my mother told me that I had to go out with her to do something different- usually something educational to her. 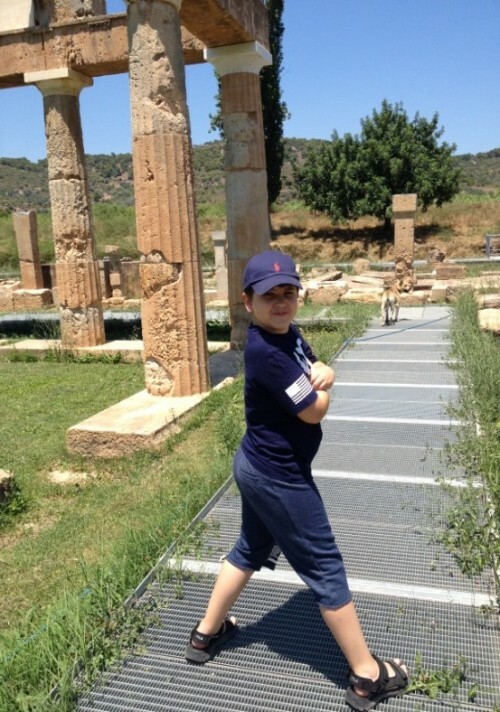 My mom had decided that we would go to the temple of Artemis. I first refused, but she insisted that we go. She said that the temple was near our house, in a suburb of Athens, Greece and it would not take us long. Additionally, she mentioned that the temple is in good condition and the artifacts are very interesting. Since I could not find a good counter to her arguments, we went to the museum with the promise that I could play on my Wii U afterwards. 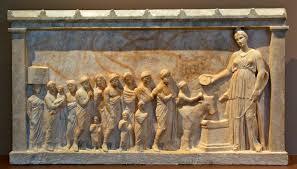 Artemis was one of the twelve gods that ancient Greeks worshipped. She was the goddess of hunting and of protecting young boys and girls. Many people came to her temple to ask that she heal or take care of their children. In the language of the Romans, she was called Diana. 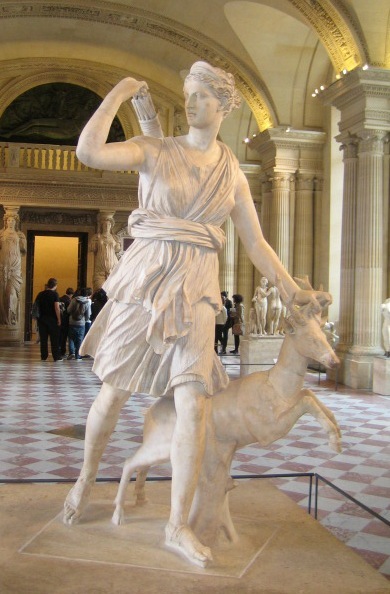 Artemis with her sacred animal, the deer. When we first went inside the museum, I noticed it was a fairly big building. It felt really nice because it was significantly cooler inside than outside. The museum had a lot of interesting stuff, like ancient pots that proved how people spent their everyday life, statues that were dedicated to the goddess Artemis, inscriptions on stone plates and explanations of the excavated area. After we were done, we headed for the temple. It was a long path but when we arrived, we saw a dog. I immediately hid behind my mom but a person who worked at the museum told us that the dog was harmless. We started walking until the dog woke up. He then started walking on the tour path ahead of us. My mom and I thought that the dog was giving us the tour since he had seen thousands of tourists walking the same route! He continued walking, making sure that we were following him. While we stopped to look at the temple explanations, the dog was waiting for us and because he got bored, he climbed a small hill and just stood there. When we finally decided to go ahead, we moved on and the dog headed before us. The temple, as it stands today. He was the most silent tour guide we have ever had but we sure enjoyed him a lot! Myself, in the temple and the guide in the background! 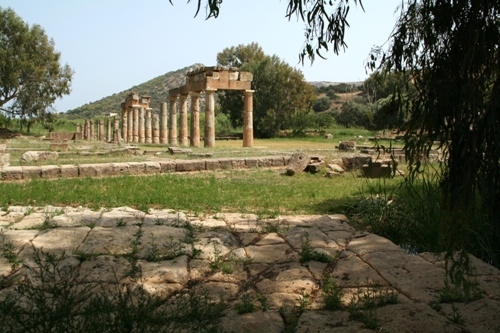 The temple is in the area called Vravrona and it should not be missed if you happen to be in Athens!